Have you ever thought, “I didn’t wear any makeup today, so I can definitely skip washing my face tonight”? We’ve all been there. It’s easy to assume if you have nothing to wash off, you are good to go. However, as you go about your day, dirt, oil and unwanted debris from the environment around you have made a home on your skin. 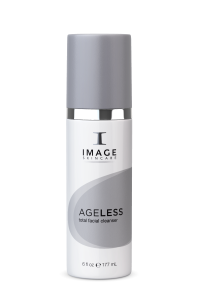 Washing your face with a balancing cleanser like the Ageless Total Facial Cleanser removes the impurities and works to exfoliate and tone the skin. Our serums contain healing antioxidants and vitamins which protect your skin from environmental factors. They also provide anti-aging benefits. It’s never too early to start using aging-preventative serums on your skin. 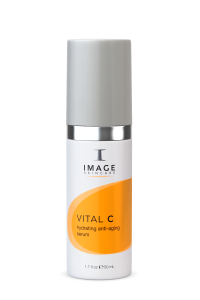 There are a variety to choose from, but if you’re new to serums, try our Vital C Hydrating Anti-Aging Serum, a great choice for all skin types. Choosing the right moisturizer for your skin type can be a confusing process. We have a variety of hydrating crèmes to fit your skin’s needs. Our moisturizers are formulated to hydrate and heal the skin while you go about your day and while you sleep. 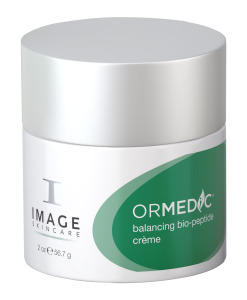 Our Ormedic Balancing Bio-Peptide Crème is an organically blended moisturizer that delivers essential anti-aging nutrients and vitamins to the skin, helping to restore and balance. This is a great choice for all skin types. 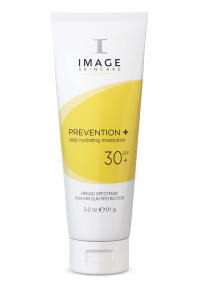 Protect your skin year-round with Prevention+ daily hydrating moisturizer. We swear by this stuff! The sheer formula won’t clog your pores, and goes on smooth without leaving any residue. As an added benefit, it’s enriched with a blend of anti-oxidants, vitamins and green tea as an anti-inflammatory agent. Plus, it smells amazing! Note: when choosing an SPF, make sure it has broad-spectrum high UVA/UVB protection. This will ensure you get the very best protection against the sun’s harmful rays. 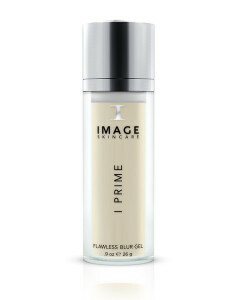 Before you apply your daily makeup, try our I Beauty I prime flawless blur gel. Prime your skin to perfection with this ultimate blur gel. This powerful blend of antioxidants, plant-derived stem cells and botanicals fights free radical damage while reducing the appearance of fine wrinkles and imperfections. Your skin will be camera-ready in one application! UV Rays: What Are They and How Do They Affect Our Skin?